Currently, from March 18-24, Game Stop is selling some Lego Dimensions as low as $4.99. I saw it last night, but now it is back up. The only ones(at least Sunday night) were the Chima and Lord of the Rings figures at $4.99. I was going to do the same thing. Purchase them yesterday morning. The only fall back other than getting lucky on eBay is using Best Buy Gamers Club discount: Dropping $7.49 to $5.99 and accruing the points earned. But still, $5 was the cheapest I have seen in stores or their websites, sans a club offer. Can anyone get the Black Friday Green Arrow to show up anymore in their cart? Did you have to SIGN IN under your account? Or were you able to get it as a guest? It won't show in your cart. It will show in your order inventory after purchasing. You'd think I'd know this by now with all these posts. Will post success if I see it! I said this in the other thread, but ensure that the Dimensions set you are buying has a note about the Green Arrow promo in the item description or it may not be eligible for the promo, at least online. For example the knight rider gamestop fun pack does not seem to have any mention of the Green Arrow Promo in the item description. I just purchased the Ghostbusters Story Pack. Didn't show up in the post-payment receipt. Looks like the online well is dry, unless someone can demonstrate otherwise. Did you check order status? The order confirmation email will not show it either. Only at the Gamestop site and your account 'order status' section where it shows you recent orders. Should show Green Arrow and if you click on the order number link it should show a Green Arrow included QTY 1. If it is missing there then the well could be dry. I thought that was a preorder, and if it is I can't imagine they would hold the green arrow until Ferbruary. Just checked the order status on GS's website. Sorry to hear that. Well if you drag yourself up at 4am to get to a GS at 5am, I wish you success in getting one. To be honest just because he appeared in my order, I'm half expecting them, being Gamestop, to send out my order without the figure. Just got back from Gamestop with the Gremlins and Green Arrow. Just got back from my Gamestop with my Green Arrow and Harry Potter Story Pack. Of the 6 people crazy enough to wait I was the only one buying Dimensions. For anyone who didn't wake up at 5am, I wouldn't be afraid to still try. I showed up after 6 and had no problems. Most people in lines were Classic NES hunting and the Green Arrow dude isn't on their radar. I got the starter kit at $39.99. I'm sure this "deal" is going to do nothing but cost me more money. G'dang it Idk if I should check out the Lego store first or Gamestop. I hope you're right @monstblitz. Good to hear it's not on most folks radar. Any idea what time the deals ends in-store? Just got back from my local Gamestop. We were at the end of the line at 5am (about 20 people back) and the first person to ask about the Green Arrow was the customer right in front of us... doesn't seem like it's very high on the radar for shoppers. It looked like the bag that my Gamestop store received 20-30 polys for Black Friday, so there's a good chance that you'll be able to pick one of these up if you get out today! Thanks @monstblitz. Got a green arrow around 7 am. Got a Green Arrow with the Fantastic Beasts set for $29.99, so very happy about that as I didn't think the story packs would be on sale anywhere this weekend. Every time I go to gamestop, I'm reminded of why I don't go to gamestop. Too much attempted up-selling and pre-selling, just let me buy what I came for and get out, thank you. There were about twenty or so people ahead of me and I'm the only one that bought a Dimensions set lolz. Glad Green Arrow wasn't such a pain to get. All the other people in line for me took all the Xbox Consoles, so everyone left, leaving me to just freely shop. A pleasant Black Friday morning for me. Also, did anyone else get this? Stood in line for 20 minutes only to find out my store was completely out when it was my turn to check out. Another reason for me stay away from GameStop. Snagged the last XBOne Starter Pack on the floor and got the polybag at like 9:15. Glad I didn't get out there earlier! First store I went to said they can't find their box of Green Arrows! Said to try back later today or tomorrow. Another store had them so got it with the Sonic Level pack. This is why I would rather order online, it really is a mixed bag in terms of if GS will have the promo at their store (or if an employee is trying to not acknowledge it because they want to take them all home to put on eBay or Bricklink or some other reason). In hindsight? Sure if they had them in store near me and they are not that popular, yeah the handling charge stinks a bit for online purchases. However, I did not want to take that chance because I have gotten burned trying to rely on the store to have the promo for me before. To be honest it still is a mixed bag if I actually get the Green Arrow promised in my order history knowing GS. manager allowed me to purchase fun packs to get each one! Oh y'all just made me nervous, so I checked my GameStop online order from yesterday morning, and I see a Green Arrow added on. That's good news because I really don't want to venture out into the retail world today. "Yeah... um.. we can't find them. They are lost. But hey! Check out this ebay listing by xXgameDoOd420Xx! He has 30 available! I bet he is a super cool guy! Buy from him." First a little backstory first I actually live in Chicago by Wrigley Field. I can walk to a Gamestop in 5 minutes. I usually order online and ship to home. The last time I preodered to store they said they didn't have the promo even though I got there before they opened and I was the first one in the store. When I said I didn't want it without the promo they magicaly found the promo. When I remembered to try and get Green Arrow on line they were sold out. Fearing the worst I went out at 4:30 am to Gamestop and was first in line. 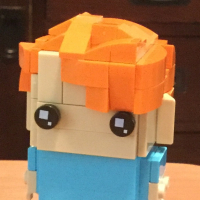 Of the six people that were there, I was the only one for LEGO. Got to the counter, and before I could ask an employee gave the persons checking me out the promo. Got done around 5:10 and walked home to drop off my purchase. I then walked to the train, and went downtown to the LEGO Store. Got home from the LEGO Store at 6:45. I thought about getting another Green Arrow because of the sale. Went back to Gamestop, and saw the same guy and asked if they still had the promo, and he said yes. So long story short I was able to get two Green Arrows two hours apart at the same store. Not saying I will stop ordering and shipping to my home, but at least they restored my faith in that store a little bit. I decided to try in store due to them being out of stock online of the popular team packs. Selection was shoddy but a Ghostbusters story pack was a good enough deal to bite. I caught the bug of Dimensions and haven't even played yet! I'm on my 4 hour drive back home from Thanksgiving and stopped by another GameStop to pick up the Fantastic Beasts story pack. 2:30pm and still got another Green Arrow. Someone please tell me the game is actually fun.... is this bug worth it?! I've gotten a Starter Pack, Four Level Packs, and too many fun packs to admit today.... some from Amazon that I'll have early next week. And I'll play it for the first time tonight when I get home....I hope this wasn't all a big mistake. @LegoTT if you played the other LEGO video games, and liked them you will like it. If not you still will have the LEGO to play/display. I don't think we would of got a LEGO Mr. T without Dimensions so it's good for getting characters made in LEGO we might not have gotten otherwise. Also 'buckled under' and went to the local store and low-and-behold they had them, so bought the ET pack and got another one. This has to be the first time I have seen so many people report they found a promo figure at a store with no issues. Wonder if Gamestop learned their lesson? for those that ordered online is there a tracking number next to your green arrow figure. Yes. And not for the Starter Pack I ordered...weird. I had the online order as a safety measure in case the store ran out, and unfortunately you can't cancel online GameStop orders from a mobile device....so before I could make it to a desktop, the thing shipped. Hopefully I can return the thing. I'd even return the Green Arrow fig if they make me- I just don't need two starters! My GS order also shipped and has a tracking number next to each item, including the GA figure. Just went to GS this morning, asked about the green arrow, they said buy any dimensions and get it, so I bought the ET one....not sure why I wanted it, I dont have the game. My Green Arrow shipped. 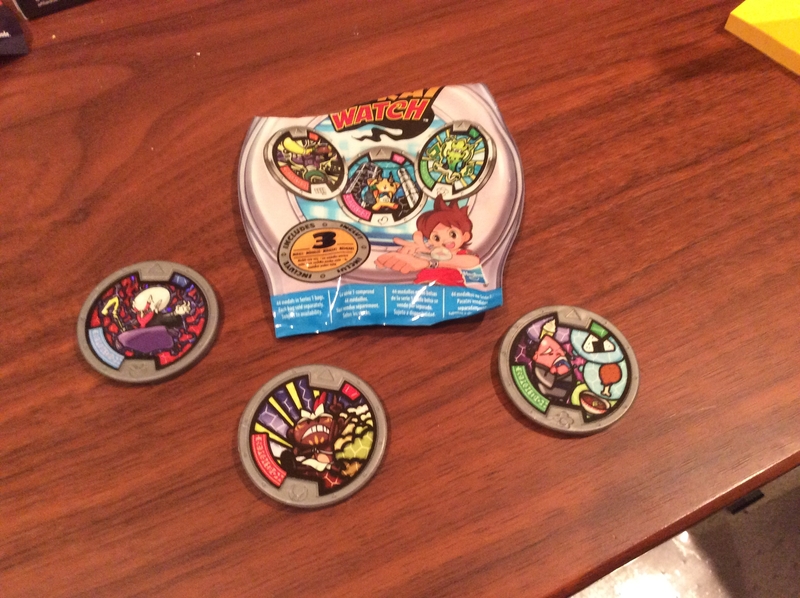 I actually got two - one for each Dimensions set I bought. Odd, didn't know that's how it worked, but not complaining.